The Cooks is a water lover’s paradise! We’ve highlighted some of the most popular activities below. With water temperatures ranging between 24-30 degrees C (75-85 degrees F), you’ll never want to get out of it! All of the islands offer a stunning underwater experience. Visibility underwater is usually at least 30 metres (100 feet) and can be up to 70 metres (230 feet) on a good day. With the reef drop-off from about 30 to 4000 metres (13,000 feet) it has to be seen to be believed! Each side of Rarotonga has its own distinct dive environment and sometimes wind and weather will determine the best dive sites for the day. The sites are only a short distance from the shore so you can be out there and in the water in minutes – maximizing your dive time. There are many diving centres in Rarotonga, each offering a range of dives for experienced and novice divers, along with training. 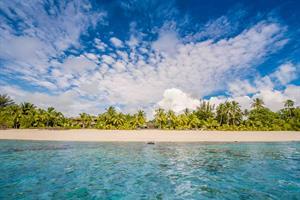 The variety of tropical fish and coral in the Rarotonga and Aitutaki lagoons is breathtaking. Awesome snorkeling is accessible directly off the beach, which makes it safe and exciting for learners who can see fish as soon as they put on their masks and peer below the surface. There are generally two areas that are the most popular for snorkeling in Rarotonga – Fruits of Rarotonga and Aroa Beach. As these locations are on the southern side, if the wind comes from the south heads to the west or to Black Rock on the north west coast. You can hire snorkeling gear from all of the dive shops around Rarotonga, and most resorts provide snorkel gear free of charge to guests. Surfing is popular with the locals on Rarotonga. All the breaks are over the reef and can be dangerous so definitely not for beginners. The most reliable breaks are off Avana Harbour on the east side of Rarotonga. Other places to check out are the passages at Rutaki (south coast), and off Club Raro on the north coast. Our best advice is to talk to the locals and see if they can share some insider secrets. Kite surfing is also popular in the Cook Islands with its wide lagoons and calm waters. Aitutaki even hosts an international kite surfing competition every year! Rarotonga has a few kite surfing schools down at Muri Beach, where you can have some lessons or casually hire some equipment. 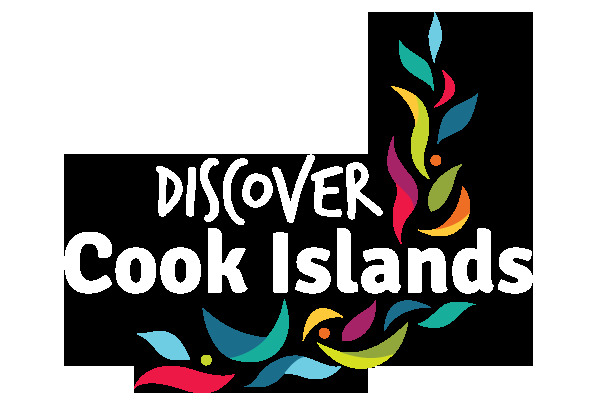 A lagoon cruise is a not to be missed activity for your Cook Islands holiday. There are a number of cruise options in Rarotonga and Aitutaki, however all will provide an amazing day out exploring the lagoon. Most cruises will include a glass bottom boat, snorkeling stops to take in the underwater attractions, an island feast lunch with fresh BBQ fish and entertainment from the local crew such as coconut tree climbing, music, weaving and pareu tying. At the same time as modern sailing, paddling outrigger canoes (Oe Vaka) – whether as part of a team or solo – has become a passion for many Cook Islanders. On Rarotonga you can see the paddlers training in front of Trader Jacks Pub in town during the early evening or off the beach at Muri Lagoon. If you like to paddle yourself there are a range of options from stand up paddle boarding, kayaking or try the traditional Vaka from one of the paddling clubs. Deep sea fishing in the Cook Islands is an adrenaline rush! Chose from a range of fishing charters which take you out on the open ocean to catch big game fish like Wahoo, Barracuda, Marlin, Tuna and Dorado. You'll even get to keep part of your catch to cook back at your accommodation if you wish!